Diane was the pianist/accompanist for Grammy winner Michael Bublé for two years and was featured with the Dal Richards Orchestra from 2003 to 2016. She has performed with a variety of artists including: Alfie Zappacosta, Gabriel Mark Hasselbach, Marian McPartland, Dee Daniels, Jim Byrnes, "Blues Boss" Kenny Wayne, Gospel great John Boutte, Bria Skonberg, Linda Tillery, Amanda Wood and Shari Ulrich. 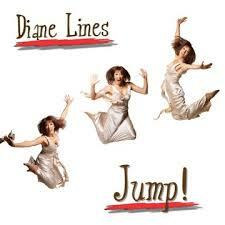 Since 2011, Diane and her cast of stellar musicians have been touring with her signature show "Diane Lines’ JUMP! A Celebration of Swing, Boogie and Blues", with performances in Switzerland, Washington, Oregon, Florida, Idaho, Las Vegas and in various venues, theatres and festivals throughout British Columbia. She has also performed throughout the United States as keyboardist and vocalist with Mac Frampton’s Hollywood Hills Orchestra. Theatre credits include her work as musical director of "Bittergirl: The Musical" which was the runaway hit of the Charlottetown Festival. Diane will again be musical director of the Vancouver premiere of "Bittergirl: The Musical" for the Arts Clubs 2017 Season. Other shows include the Arts Club Theatre’s acclaimed production of "Tapestry: A Tribute to Carole King" also starring Denzel Sinclaire and Shari Ulrich. In Vancouver, Diane is the assistant musical director/accompanist for the high– spirited Universal Gospel Choir and is the musical director of the vibrant, zoomer–ifique, PALs Chorus. 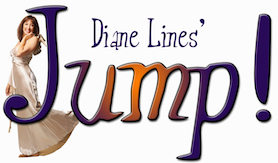 Diane Lines received her musical education at the Banff School of Fine Arts, the Humber School of Creative and Performing Arts in Toronto, and at Cleo Laine and John Dankworth’s Wavendon Music Program in Buckingham, England.
" Her playing is spectacular… Whether you are alone or with someone else, you should be dancing by the time this song is a few bars old. I know I was!" 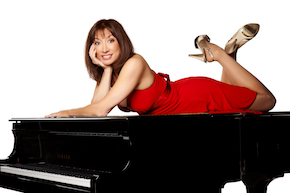 "Diane Lines′ talents as a pianist and vocalist are outstanding and her boundless energy and joy of performing make her a favourite of audiences everywhere"